Welcome to the Unicars Honda Dealership in Indio, CA. We have a beautiful selection of new Honda cars, SUVs and crossover models to choose from. We invite to you come in and test drive a new Honda Accord, Civic, HR-V, CR-V, Fit, Odyssey, Ridgeline or Pilot today. Factory incentive offers and Honda dealer specials are available to help you get the very best price on a new Honda. 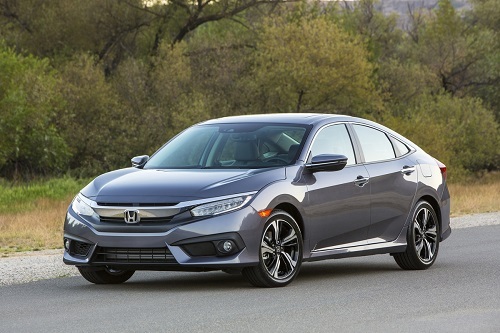 Beyond our complete lineup of new Honda vehicles we also offer affordable used cars and trucks from a variety of manufacturers, including Honda. Many of these used vehicles are Certified Pre-Owned Hondas with low mileage and are backed by extended factory warranties. Buying a Certified Pre-Owned Honda is a great way to get a “like new” vehicle at a remarkable price. The Unicars Honda Finance center is available to help you arrange convenient new Honda financing, leasing and affordable used car financing. Our auto finance experts can also help you take advantage of current factory incentives and Honda dealer specials for extra savings. Professional Honda dealer service and repair is also offered at our dealership. Our certified technicians perform oil changes, tune-ups, wheel alignments and more extensive auto repairs. We use genuine Honda parts and accessories to keep you vehicle running properly. If you are shopping for a new Honda or used car or looking for expert auto service, parts or repair, the Unicars Honda dealers can help. Feel free to Contact Us with any questions.